Okay, so this post is about a month late, but honestly- that’s how long it takes for my brain to process that my Walt Disney World trip is OVER. 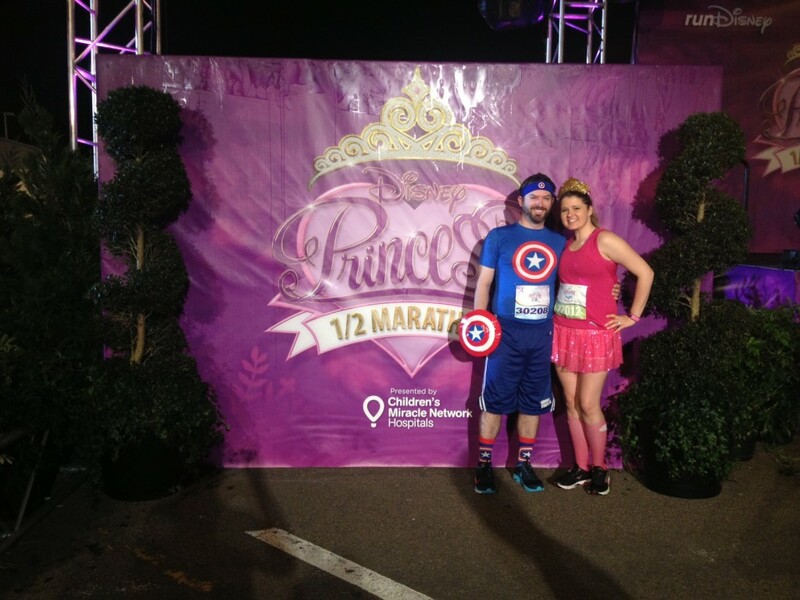 This is my second time running the Princess Half Marathon but my first running the Glass Slipper Challenge, as it was the inaugural year! 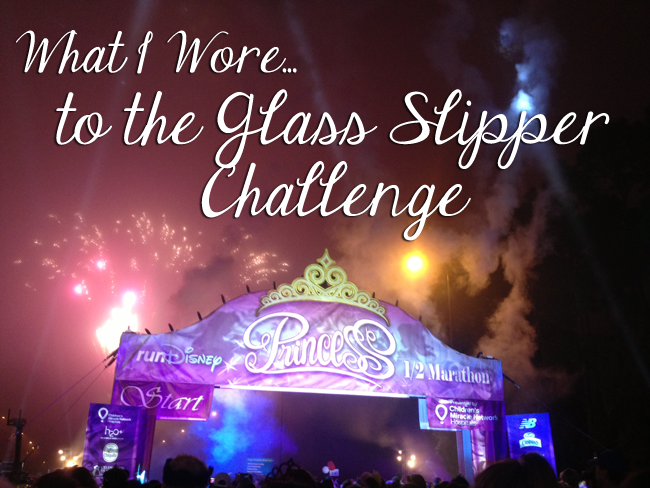 This year, I planned my runDisney costumes a wee bit better for the Glass Slipper Challenge. Not only did I invest in some glitzy handmade tiaras and a gorgeous Tiana running skirt from Etsy, but I didn’t forget to pack anything this time! I’ve had some questions about running skirts and tiaras- yes, both are pretty comfortable to run in. 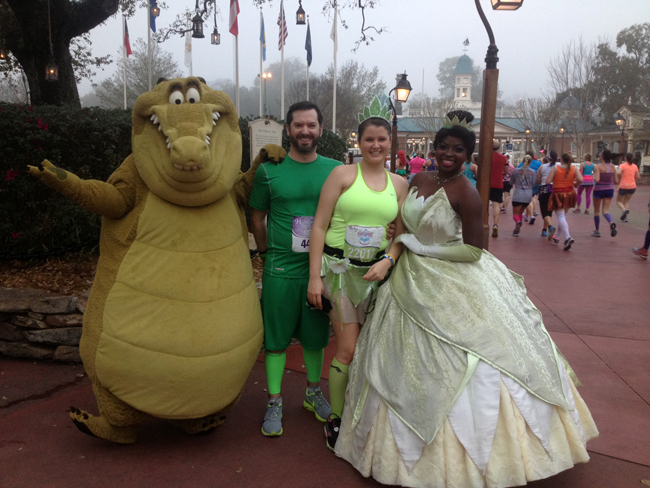 My tiaras stayed in place without any jiggling during the Enchanted 10k and the Princes Half Marathon. 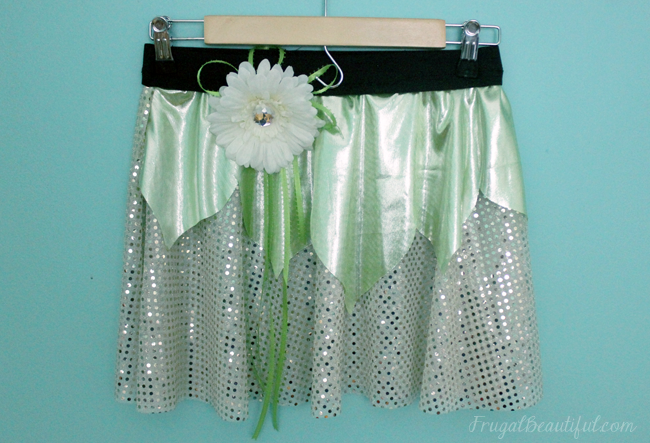 The sparkle skirt from Etsy was fabulous and didn’t chafe, but wear comfy shorts underneath you’ve run in, and since this is a winter race- bring lots of body glide and stop at med tents for vaseline if you need to- going from dry winter conditions to humid southern conditions in 48 hours messes with your skin more than your apparel does! This was by far my favorite stop and while I’m always bummed to see that Tiana doesn’t have as long lines as the other princesses, I’m usually pretty psyched that Tiana doesn’t have such long lines! This stop came right after running through the castle and I was so excited to take a breather and pose with Tiana…she said she liked my costume (I would hope so). 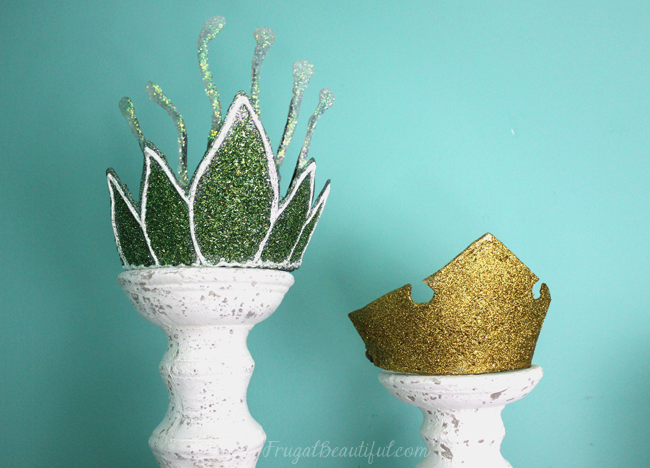 These gorgeous runDisney tiaras were handmade. Find ’em at ShopTMFox83 on Etsy! 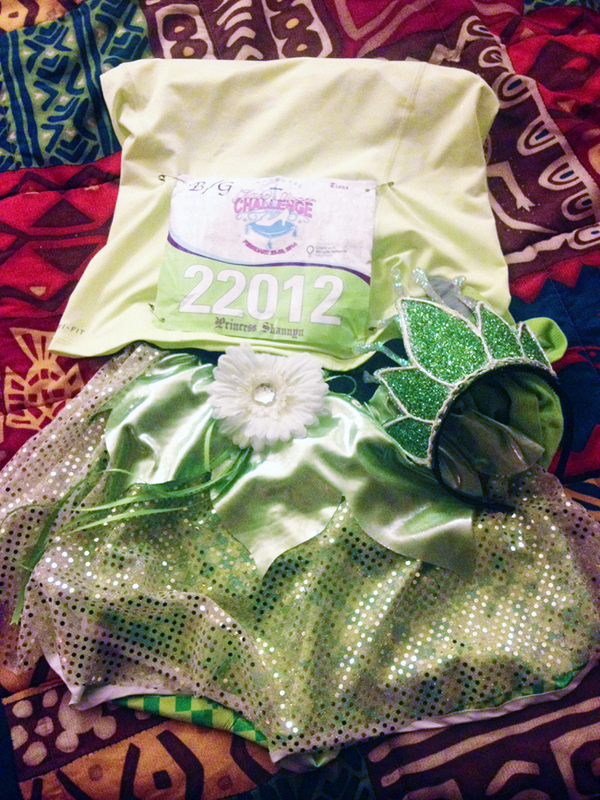 Of course, no runDisney costume is complete without the bling! 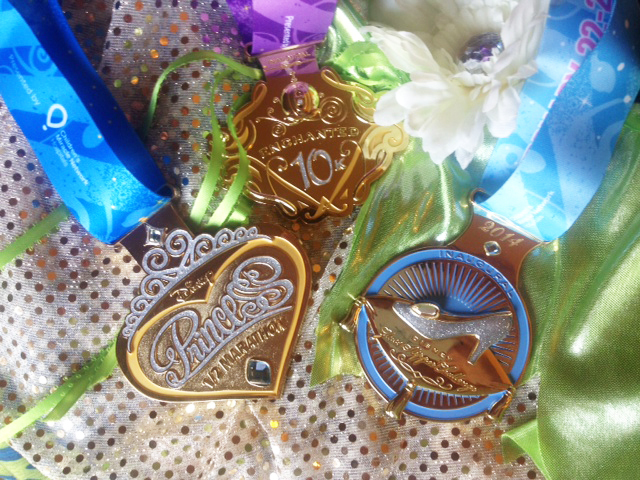 Here are the medals from the Glass Slipper Challenge! If you need a princess running costume for your next runDisney half marathon, these outfits are 29.3 miles tested and Glass Slipper approved! Do you ever run in costume? What is the coolest costume you’ve seen at a race? What an adorable set of costumes! I’ve never run in costume though I did do a little make up for a zombie run. Great costumes!! I am running the Avengers Half Marathon in Disneyland in November and am starting to plan my costume! 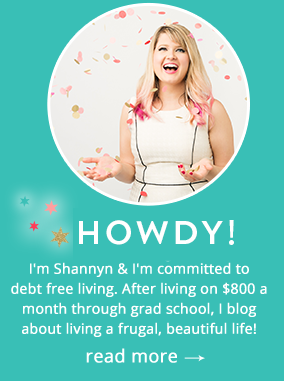 I will definitely have to check these links out! Not sure how you ran with those things on your head, but it looks like you had fun! I have never run in costume because I turn tomato red and soggy after the second mile.